Our lives keep getting busier & our minds are more distracted than ever. Scientific studies are showing that we are focused and engaged only about 50% of the time. You may be noticing that your attention isn’t focused where you want it to be and you may be struggling to stay engaged with the people around you and be productive at work. Anxiety is at an all-time high, especially among teens and millenials, and it’s impacting health and productivity. Are you ready to make changes in your life but not sure how? Building a mindfulness practice, according to scientific studies and my own experience, is a great way to start. I don’t have time to sit and meditate. Doesn’t it take a lot of time? I can’t meditate! I can’t clear my mind and think of nothing…and sitting still…NO WAY! Does it REALLY do any good? I try to meditate but I just don’t “get it.” I don’t know if I’m doing it right. I don’t know if I’m doing anything. I’m confused! Let me answer all those questions right up front..
No, it doesn’t take a lot of time. Studies show that meditating for just 10 minutes a day has a positive result. You can find 10 minutes in your day, I know you can! Meditation isn’t about “thinking nothing” (there goes another excuse). If your mind thinks a lot, congrats!, you are human. The key to meditation is noticing when your mind starts to drift to thought and temporarily bringing it back to focus on a single thing…like your breathe. Your mind will wander again and you will bring it back. Repeat. Those 10 minutes I mentioned above, well, a daily 10 minute practice can help lower stress levels, improve focus and build grey matter in your brain….among other things. So yes, it really does do some good! “I don’t get it. Am I doing it right?” is something I understand completely. I felt the same way when I started meditating. Until I started using the Muse™ headset over a year ago. 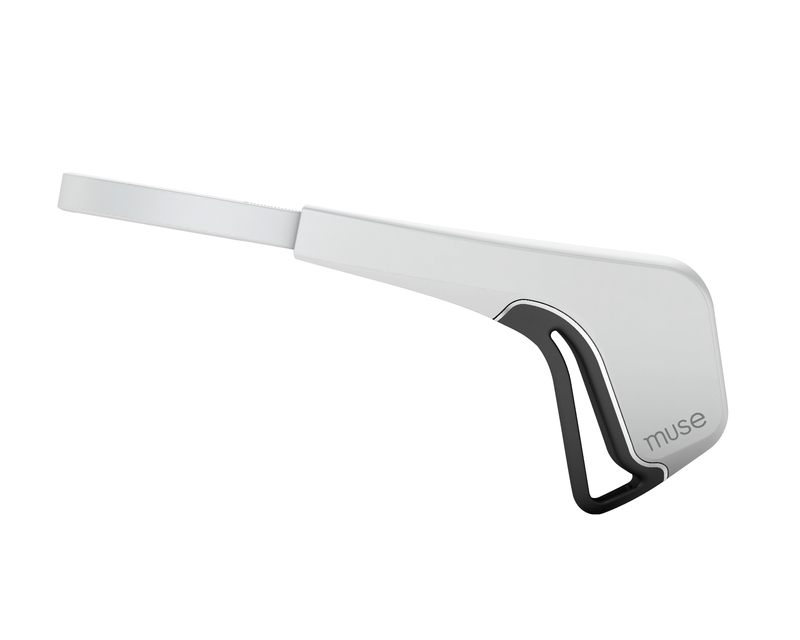 WHAT IS THE MUSE™ BRAIN SENSING HEADBAND? Elevate your meditation experience with real-time audio feedback of the state of your brain as you meditate and end of session results and graphs giving you an inside look at your brain during your practice and showing your progress over time. It’s like a window into your brain and answers the “Am I doing it right? Am I doing anything?” questions. I’ve seen so much success with Muse™ meditation combined with mindfulness practices that I brought my experiences together to create an exclusive 8 week program! For more information on the Muse, click here. Combine your Muse™ with an 8 week journey in meditation and mindfulness with the exclusive Sense Of Mind™ companion program. Embark on a comprehensive journey into building a strong meditation practice using the Muse™ headband “on the cushion” and a mindfulness practice that extends into every day life. The program was created based on my own mindfulness practice, mindfulness trainings through Search Inside Yourself Leadership Institute and Mindfulness Based Stress Reduction and almost 2 years of regular meditation practice with the Muse™. What changes can you expect from this 8 week program? Increased ability to focus which leads to improved productivity and presence. A new or expanded mind body awareness for living a more self-aware and self-regulated life. Improved stress management and stress-related actions and reactions. Clients have noted improvements in sleep habits, a “lighter” more calm demeanor and improved management of anxiety triggers. Whether you are new to Muse™ or have been working with a Muse™ and want to take your practice to the next level, the Sense Of Mind™ + Muse™ program is for you. 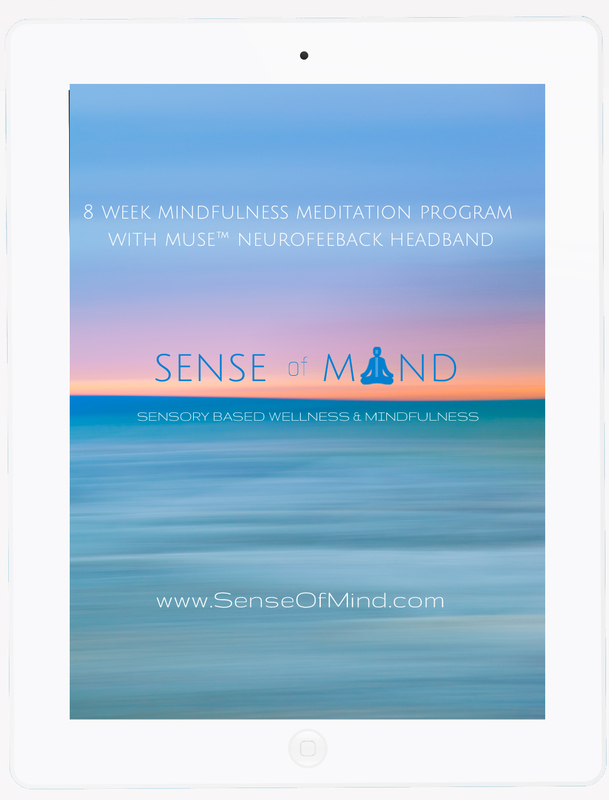 A complete e-workbook helps you navigate the 8 week program and get the most out of your Muse™ headband and meditation practice. The workbook includes daily and weekly worksheets for quick reflective practices on what’s happening during meditation and beyond. Stay on track and engaged with weekly e-mail lessons that guide you through your Muse™ meditation practice evolution and integrate mindfulness lessons and “off the cushion” challenges to bring mindfulness into every day life. That’s where the true benefit of your meditation practice resides. Join the Sense Of Mind™ community and post questions, socialize and network, explore experiences and get the latest wellness and mindfulness news and research updates on the Facebook Page or Private VIP Facebook Page. Get personalized feedback on your meditation practice and in-depth strategies to bring lessons and insight together for more mindful living. What if you had control over your ability to focus for productivity and “Unfocus” to solve problems and be dynamically innovative? These two assets will help you stand apart from the rest in business and bring more resiliency in dealing with all aspects of life. After 8 weeks of building mindful focus and concentration, learn to balance it with “Unfocus” activities that open your mind to creative thinking, innovation and problem solving. A regular meditation practice builds inner strengths that create buffers to stressors and decrease reactivity. Less reactivity means you feel happier and have fewer physical symptoms from stress. You feel happier and healthier and experience more calm. Mindfulness and meditation help you become more aware of your thoughts and emotions which results in stronger self-awareness and improved self regulation as you build your practice. Improved decision-making and leadership capacity. A 2015 study revealed that our average attention span is 8.25 seconds. A goldfish has an attention span of 9 seconds. Yes, you will likely lose a “blink” contest with your favorite goldfish. We are constantly interrupted, notified, distracted and looking for the next dopamine hit from our devices. That learned lack of focus makes us less productive and less present to what (and who) is happening around us. Better focus and concentration means an increase in productivity and performance at work and home. Being more present also means improved relationships with colleagues, clients, family and friends..
Meditating with the Muse™ is a great way to learn how to meditate and physically and mentally train your body and mind. 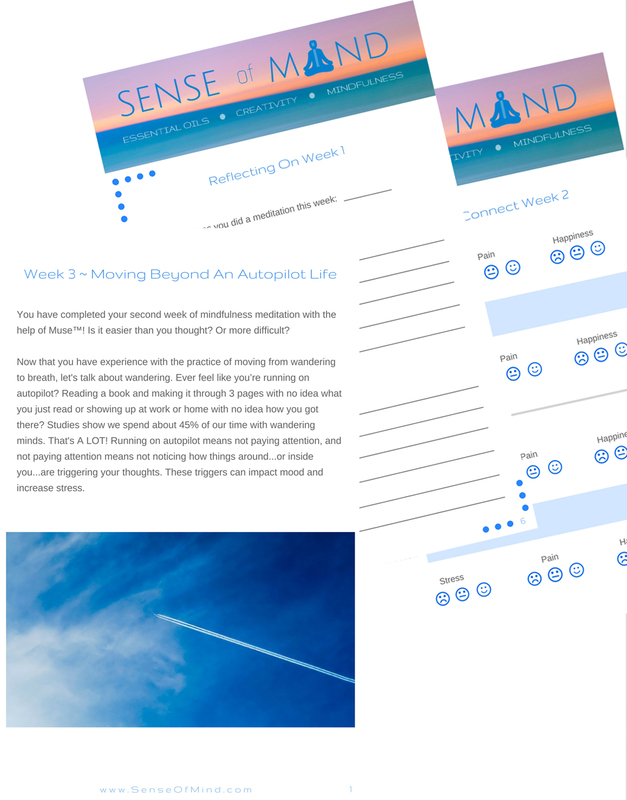 When you integrate the Sense Of Mind™ program you develop skills “on the cushion” with the Muse and then we take those skills and learnings out into every day life through real world examples, growth enhancing challenges and helpful personal awareness tips. Meditation as an activity leads to improved attention control, regulation of emotion and self awareness. Mindfulness is a way of being that makes us more aware of everything that we do. You get a fully life-integrated solution. Move beyond just USING the Muse™. With Sense Of Mind™ you learn to LEVERAGE the skills you build during meditation and bring them into all aspects of your life. If you are ready to give meditation a try and see the benefits of improved focus, stress management and body mind connection let’s get started! Here are some easy ways to begin your Sense Of Mind™ + Muse™ practice, either on your own or with me as your Muse™ muse. Sign up for news & updates from Sense Of Mind and get a 15% off discount code for a Muse headband (Ambassador Link). 12 Week Sense Of Mind™ + Muse™ VIP Program + "Unfocus"
Bring the Sense Of Mind™ + Muse™ leadership development program to the workplace. Great for team building, leadership training and employee development programs. 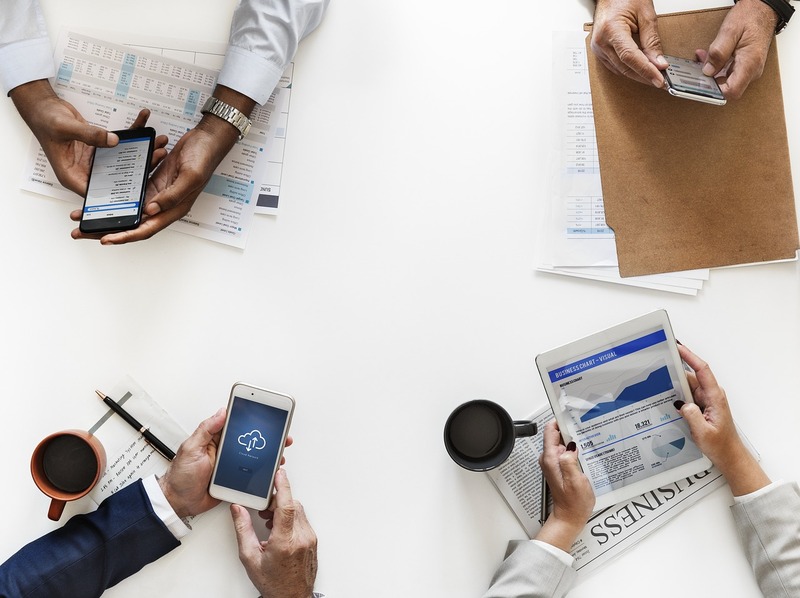 Schedule a complimentary consultation to discuss package options that are right for your culture and employees or customize a program to fit your unique needs. Not sure if this program is right for you? Have questions about Sense Of Mind™ + Muse™? Schedule a Complimentary Meditation Consult for more information. I am really proud. I am understanding more and more that sweet spot when meditating, calming the mind & focusing on one thing. Last night, I came away really clicking with the idea of being an observer, especially connected to tides of change at work. You have been that gentle voice reminding me to observe and see what’s really happening.